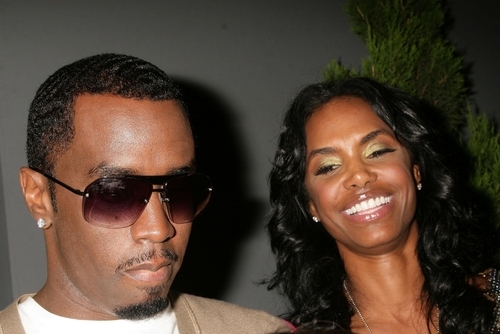 Just one day after the death of Sean “Diddy” Combs’ ex Kim Porter, the music mogul stepped out with his ex-girlfriend Cassie Ventura. On Friday, Diddy was spotted out in Los Angeles for the first time following the news that Porter was found dead in her Toluca Lake home on Thursday. The Ciroc founder was casually dressed in red basketball shorts and a black hoodie which read “Do The Right Thing” when he was snapped stepping out a silver vehicle. Ventura, who dated Diddy on and off for nearly a decade before splitting with him a month ago, subtly matched her ex’s casual style wearing a black, oversized sweatshirt with leggings and sneakers. A source told E! News that the “Me and You” singer “reached out to Diddy” by “sending him a text message checking up on him and expressing her condolences” following the news of Porter’s death. The former couple, who reportedly had an “amicable” breakup, have remained friends despite the end of their romantic relationship. Diddy’s rep, Cindi Berger, confirmed Porter’s death to Fox News on Thursday. “Sadly, I can confirm the passing of Kim Porter. I ask that you give the families privacy at this time,” she to us. The model-actress, who dated Diddy for 13 years and has three children — 11-year-old twin daughters, Jessie James and D’Lila, and son Christian Combs, 20 — with the music mogul and businessman, was found dead on Thursday, per TMZ. She also shared 27-year-old son Quincy from her previous relationship with R&B singer Al B. Sure! The Sean Jean designer wasn’t the only person deeply affected by Porter’s sudden death. Several celebrities, from Rihanna, Nicki Minaj and Kevin Hart, shared tributes to the late actress and model on social media.